Twelve suspects have been arrested for allegedly presenting fake Diploma in Education certificates from the University of Cape Coast (UCC) to seek teaching appointment in the Ghana Education Service. The suspects were arrested while going through the appointment process at Dormaa Ahenkro after the Dormaa Municipal Education Office had alerted the Police. They include Joseph A. Diawuo, Thomas Dadzie Mensah, Mary Yaa Donkyi, Diana Adwoa Manu, Agnes Yaa Dartey and Felix Kofi Sei. Others are Joseph Kumi, Philip Mensah, Mohammed Adjei Baah Hassan, Samuel Oppong, Justice Issah Kwabena Baah and Doris Gyabaah. 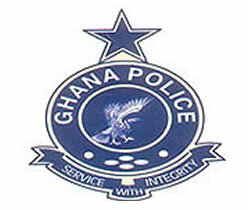 The Dormaa Municipal Police Commander, Deputy Superintendant of Police (DSP) told the Daily Graphic that the certificates presented by the suspects for the teaching appointment were submitted to the Academic Affairs Office of the UCC for verification, which revealed that 15 of them were fake. The Dormaa Municipal Education Office subsequently informed the Police about the development and the Police arrested the 12 suspects. The remaining three, identified as Konadu K. Yiadom, Bertha Acheampong and Nicholas Kwadwo Nketiah, are at large.